UCL ties with Cambridge for the fifth spot with Oxford in fourth place in the table of 400 institutions from around the world. The universities are ranked on 13 performance indicators across five areas including teaching, research, citations, knowledge transfer and international outlook. 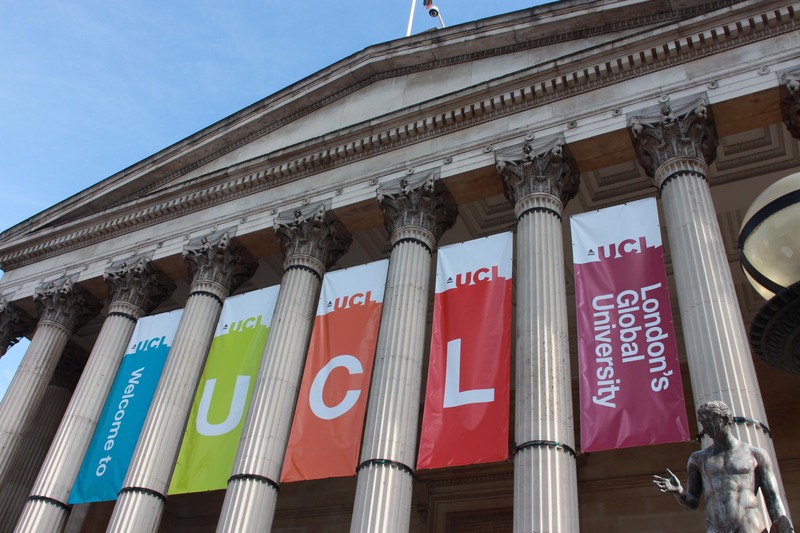 Professor Stella Bruzzi, Dean of UCL's Faculty of Arts and Humanities, said: "I am delighted to see the continued recognition of UCL as a centre of excellence in the Arts and Humanities, a truly international faculty within London's global university. "This is a tribute to our world leading staff and their research, and a testament to the researchers of the future - our engaged and high calibre students." UCL Arts & Humanities generates world-leading scholarship across the departments of English, Philosophy, Greek and Latin, Hebrew & Jewish Studies, Information Studies, European Social & Political Studies, the Slade School of Fine Art, the School of European Languages, Culture and Society, and the Bachelor of Arts and Sciences (BASc). The Times Higher Education's definition also includes Architecture, History and Archeology. The faculty's centres and research groups include specialisms in archives & records management, African studies, comparative literature, digital humanities, early modern studies, translation, linguistics and publishing. Two US universities renowned for their strength in technology top the table with Stanford first and Massachusetts Institute of Technology (MIT) second. Harvard University, which was in joint first place last year, has fallen to third. US universities still account for more than a quarter (103) of the universities in the 400 in the table, 35 of which make the top 100, down from 39 last year. The UK has 56 universities in the 400-strong rankings with 19 in the top 100, the same number as last year. Other British universities in the top 100 include Edinburgh university (14th), King's College, London (20th), Durham university (29th), Warwick university (37th), York university (42nd), St Andrews university (44th), Manchester university (50th), Lancaster university (55th=), Sheffield university (67th), Glasgow university (70th), Soas, University of London (77th=), Birmingham university (80th), Leeds university (85th=), Bristol university (91st=), Birkbeck, University of London and Exeter university (99th). For the first time in the history of the table, a Chinese institution makes the top 20. Peking University, a partner institution with UCL, is 17th, up from 27th last year and joint 84th in 2016. Its Beijing neighbour Tsinghua university has also made gains, jumping 18 places to 48th.